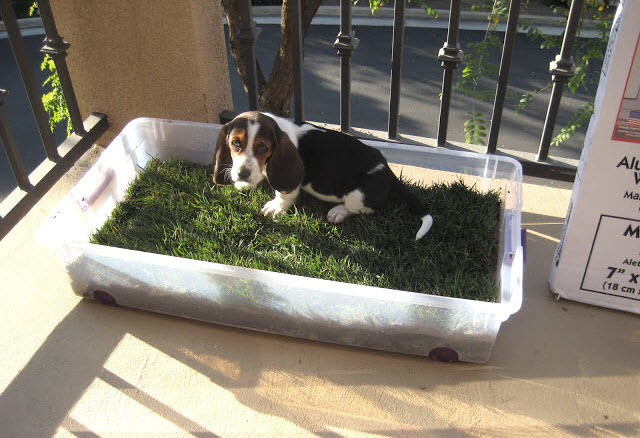 Turn a storage bin into a patio potty for your dog! Get a long, low storage bin that is a good size for your dog and drill or cut holes across the bottom. Lay a towel inside the bin over the holes. Fill the bin with dirt, cut pieces of sod to fit in the bin, then lay them on top. Water and trim the grass as needed.